Social & Content Marketing: Set Sails and BBC Capital - do you need social media to find a job? Set Sails and BBC Capital - do you need social media to find a job? 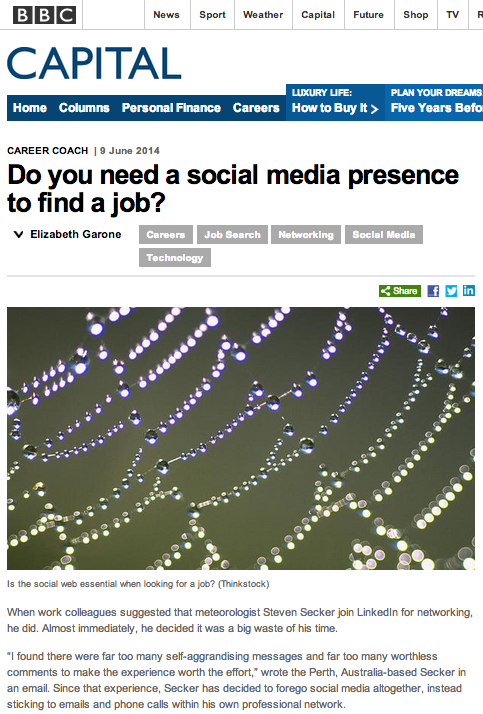 Elizabeth Garone, writer for BBC Capital, asked me to contribute to an article she wrote about the importance of having a social media presence when job hunting. Other social media experts also offer their opinions and let me tell you - the advice in this article is fantastic!